Keto Desserts are a must-have for anyone on a Keto diet! 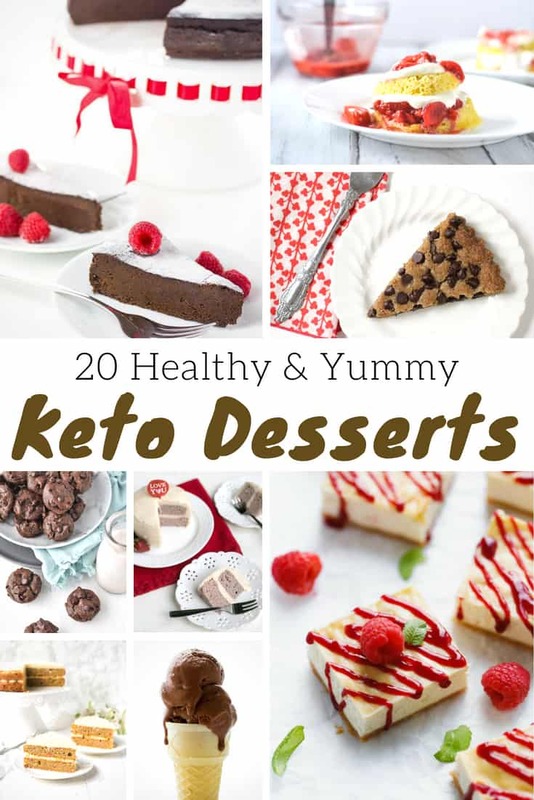 These 20 delicious and easy to make Keto dessert recipes will be a welcome and frequent visitor to your weekly Keto meal plan! When I first started to hear about the Keto diet, I have to admit that I was a bit concerned. I wasn’t worried about the protein or the decrease in carbs and increase in fat. No, I was worried about desserts. You see, desserts and I have a long, wonderful relationship and I wasn’t sure the Keto diet was going to include them. 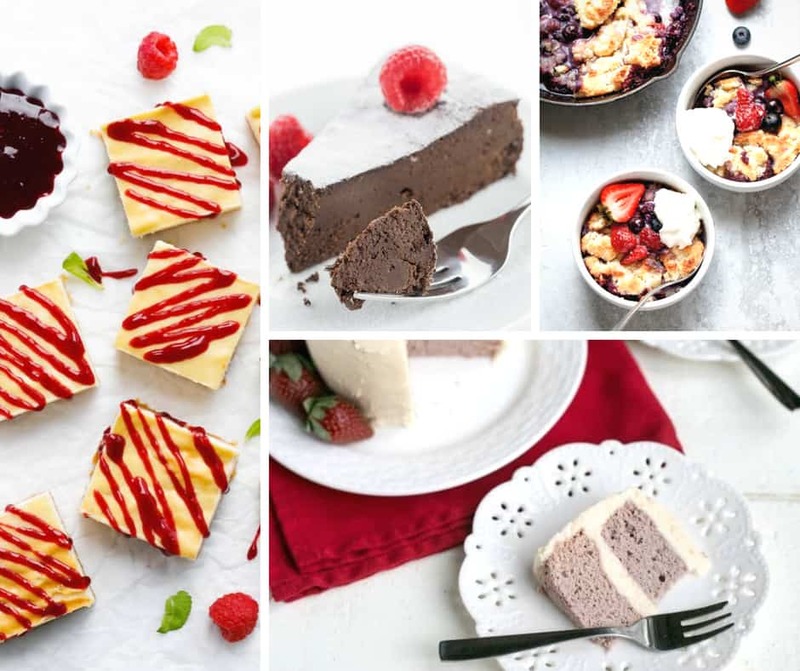 Thankfully, Keto desserts are a thing – a fabulous, glorious thing – and the 20 Keto dessert recipes that we gathered below are some of my favorites. They’re simple enough to whip up without a lot of effort or time, but they’re delicious enough that they satisfy my sweet tooth. I don’t know about you, but when I’m trying to lose weight and get healthier, my sweet tooth goes on a rampage and will do anything to get me to break down with a slice of cake. Now, with the help of these dessert recipes, I can have that cake (and cookies…and brownies…and muffins) without the guilt! 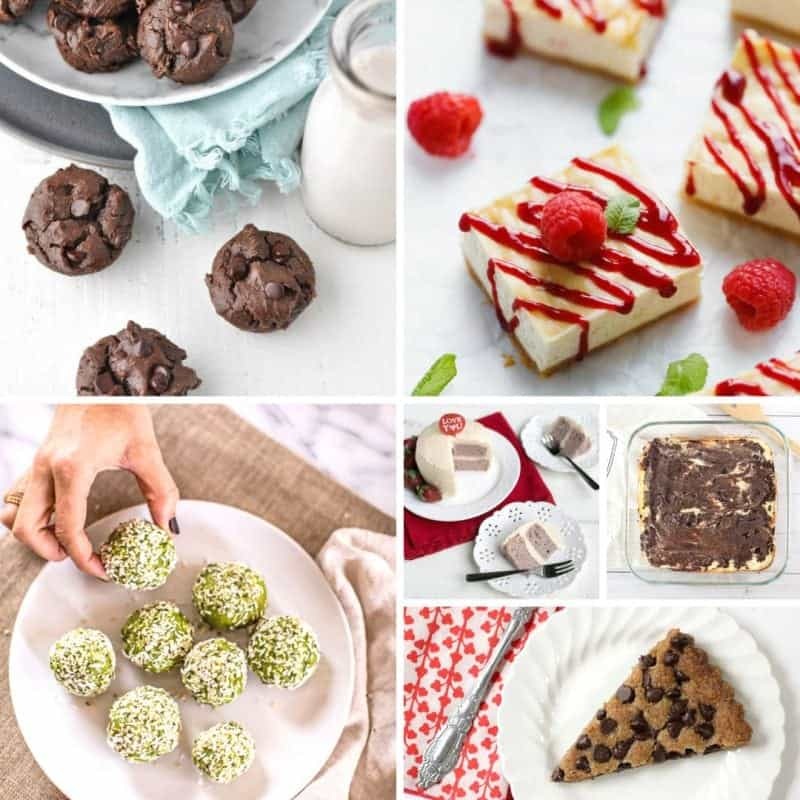 Check them out and let me know your favorite Keto dessert recipe from below! If you have another recipe that you love, be sure to leave a comment with it too. 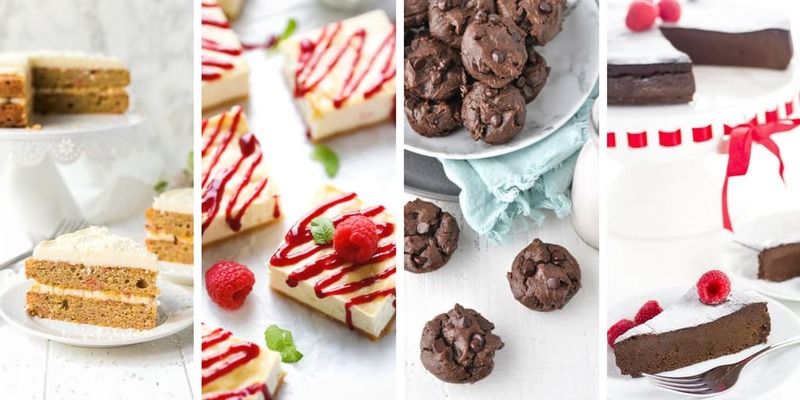 I’m always on the lookout for more yummy dessert recipes! Thank you for including my No Sugar No Flour Peanut Butter Cookies!